Updating the Strategic Balanced Scorecard to suit the needs of the 2nd decade of the 21st Century. Today, clients come at the balanced scorecard from a different place. Recognising they manage amidst uncertainty and risk, they want agility and responsiveness and the ability to learn as they execute their strategy. They realise that control and measures are inadequate, it is about treating people as human beings, focusing on behaviours, not simply measures and targets. They need to empower people to make decisions locally, have conversations with customers in a human voice and that the most successful executives are managing with both left and right brains. They need ways to capture and manage their new models of business and new ways of thinking about strategy more appropriate to the second decade of the 21st century. Keywords: Performance Management, Governance, Types of Performance management. Are you wrestling with the complexity of managing performance in organisations? You are not alone – many are. To improve your Organisational Performance Management approach, it helps to understand the many different types of Performance Management that organisations use, how they work together, and how they solve different management problems. Does your strategy rely on Hope and Magic? Or do you clearly describe how change will happen? With this white paper, four coloured highlighters and 20 minutes, this test will help you. Need to explain your strategy better? 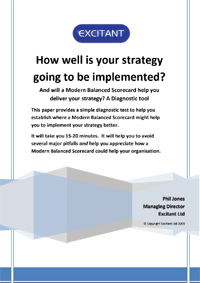 Want to modernise or upgrade your balanced scorecard? Trying to be more strategic, so you can see the wood from the trees? 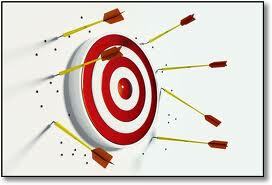 Or do you simply want to ensure you deliver your strategy reliably? 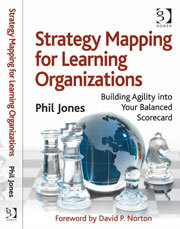 Or simply want to find out how Strategy maps and strategy mapping can help? If you are simply looking for ways to measure carbon footprint, this article may not help you (yet). 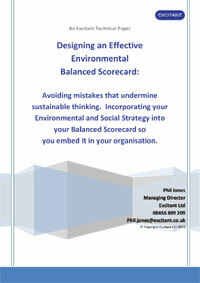 However, if you are an organisation that believes in a sustainable environmental approach;if you are want to embed environmental and sustainable thinking into the way you act as a business; if you want to design an environmental balanced scorecard that communicates and supports such thinking and action; then read on…. 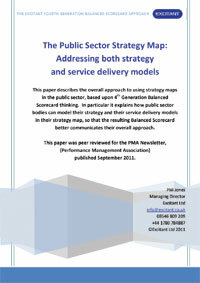 This paper explains how public sector bodies can model, describe and map their cost reduction strategy and their service delivery models using a strategy map, so that their Balanced Scorecard better communicates the overall challenge of austerity, whilst still delivering services. This paper describes the overall approach to designing public sector balanced scorecards and using strategy maps in the public sector, based upon 4th Generation Balanced Scorecard thinking: A significant advantage over standard public sector scorecards. If you are managing strategy and performance during the Public Sector Financial Review, then this paper has useful guidance, advice and mistakes to avoid. Managing in an uncertain environment: KPIs and External Predictive Indicators (EPIs). 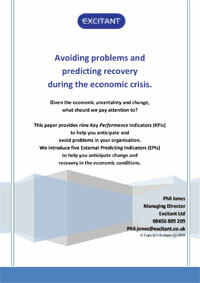 A useful guide to avoid problems during the economic uncertainty and to prepare for recovery. We use EPIs to refer to External Predicting Indicators which monitor the external environment. External Predicting Indicators look at the context and environment in which the organisation is operating. They are leading indicators of that environment changing. The signals that your strategy may need to change. These are a part of our fourth generation balanced scorecard approach.